They went to the cinema in search of a good film. What they found could be their end. Although it’s unlikely – unless the film is as bad as Dark Shadows. Failed Critics is back – and it’s sporting a shiny new image. 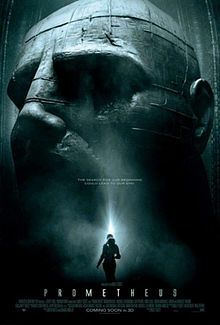 This week the pod discusses Prometheus, Ridley Scott’s return to the science-fiction genre after an absence of 30 years. We also choose our favourite Kings and Queens from the world of cinema in honour (or protest depending on how you view our choices) of the Queen’s Diamond Jubilee. Plus we have more podcast views on Iron Sky, and James FINALLY watched Pan’s Labyrinth. Gerry was sadly missed this week – but we soldiered on as best as we could. He’s back soon, we promise. Next we will be reviewing an upcoming DVD release, as well as discussing those directors/actors we’ve fallen out of love with in Triple Bill.